This Premium Sipping Vodka is nothing short of sublime. Carefully-crafted in small batches from premium 100% pure sugar cane and distilled seven times to perfection, this is the vodka lover's dream. Smooth as silk straight up or in the finest martini, this vodka shines alone. Resist the urge to mask it with flavors and enjoy its awarding-winning taste. Lee Foster Fuqua made award-winning wines for decades. 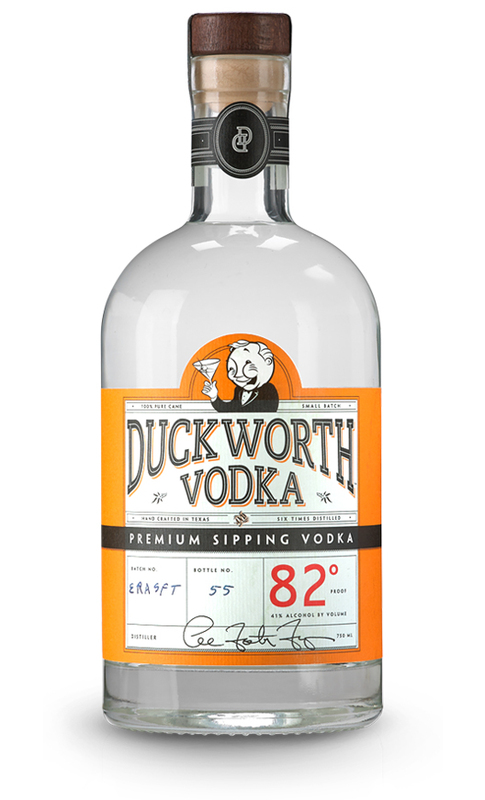 When he turned his uniquely honed talents to distilling in 2015, this Premium Sipping Vodka became the first masterful creation of Duckworth Distillery. Stop by our distillery to experience this impressive vodka for yourself and see why it's garnered Gold three years in a row. Tasting is believing. 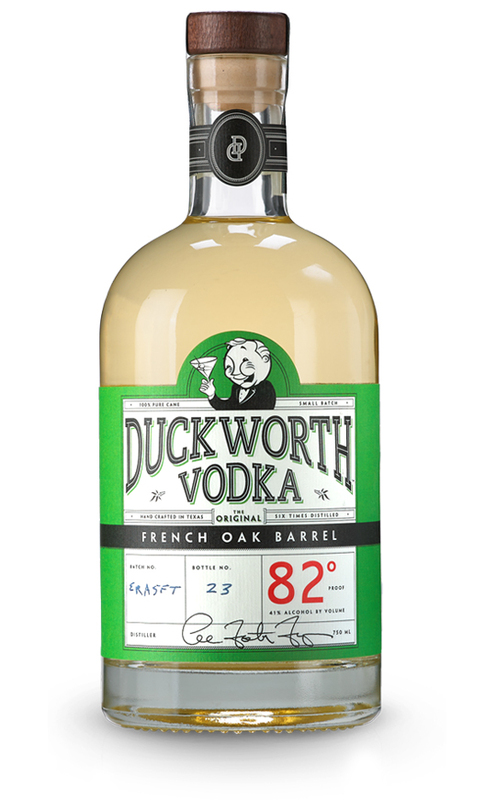 It's the best ranked Texas-made vodka in the world.